If you’re young — let’s say under the age of 25 — you might not remember a time before the low flow toilets. The way toilets in new homes work is the way they’ve always worked in your lifetime. Stuff has always gone down the drain in the same way, right? But many of you remember a time when toilets were using considerably more water per flush. While this was worse for the environment, they were more beloved by homeowners who actually liked seeing their waste go away. So why did the regular-flow toilets go away, and where did the low-flow toilets come from? 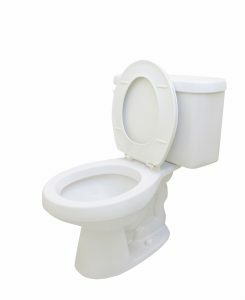 Let’s take a look at what your local plumber knows about low flow toilets. What Makes a Low-Flow Toilet a Low-Flow Toilet? Low-flow toilets, also called low-flush toilets or high-efficiency toilets, were created in an attempt to save water. Typically, low flush toilets use about one-third to one-half as much as their predecessors. Where Did The Low-Flow Toilets Come From? Customers weren’t exactly the ones who were calling out for low flow toilets, but water conservation was on everyone’s mind during the late 1980’s. Massachusetts was the first state to require low-flow toilets in new construction in 1988. Four years later President George Bush signed the Energy Policy Act which prevented toilets from using more than 1.6 gallons per flush. That 1992 law went into effect in 1994 for residential toilets and 1997 for commercial buildings. Garvin’s Sewer Service has been around for more than 75 years, so we were around when all of this started happening. Those early low flow toilets certainly used less water, but they had an incredibly poor design. While they had no problems with liquid waste, anything solid usually had a hiccup going down. You’d almost always have to flush solid waste twice, which, as you might guess, completely defeated the idea of the low flow toilet. Customers hated them. After all, you usually stand up, hit the trip lever (aka flush handle), and head to the sink to wash your hands. What you don’t want to do is stick around to find out that nothing went down and have to flush again…and maybe again and again. Why did plumbing contractors hate low flow toilets? Imagine putting a toilet into a brand new home in 1992, only to have customers tell you that the toilets are broken. They had to explain to the unhappy customers that the toilets were working fine but there was nothing to be done about it. It’s the law! When you flush less water with less power, things don’t move along as well as they used to. Solid waste and sludge tends to build up in pipes and just sit there, where before it would have been washed down the pipes much more efficiently. San Francisco had a huge problem a few years back when this sludge was backing up in city sewer pipes. Newer houses today are being built with smaller sewer pipes so that there’s more pressure behind each flush to keep things moving. Living in an arid climate like Colorado, we’re glad for the water saving we see with low-flow toilets. More than that, we truly do appreciate the fact that low-flow toilets have gotten much more efficient and flush so much better than the toilets of 1994. If you’ve got one of those early low-flush toilets and need it replaced — or any emergency plumbing or sewer problem — be sure to contact us and we’ll get things taken care of! https://www.garvinssewerservice.com/wp-content/uploads/2017/02/logo.jpg 0 0 Garvin's Sewer Service https://www.garvinssewerservice.com/wp-content/uploads/2017/02/logo.jpg Garvin's Sewer Service2016-09-01 13:16:162016-09-01 13:16:16What Does Your Local Plumber Know About Low Flow Toilets?